Westmarket located in Haymarket, VA enjoyed an increase in value in both single family (3.6%) and attached homes (5.3%) in 2018. 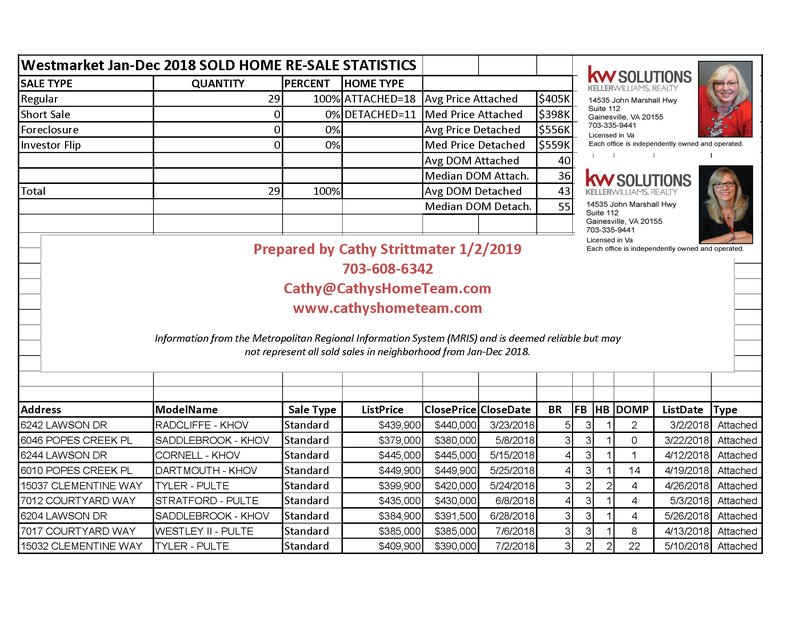 The number of sales decreased from 43 homes in 2017 to 29 homes in 2018. This low inventory of homes for sale in the market has caused an increase throughout Western Prince William County as supply is not meeting demand.